We know that finding the right motorhome finance is not simple. 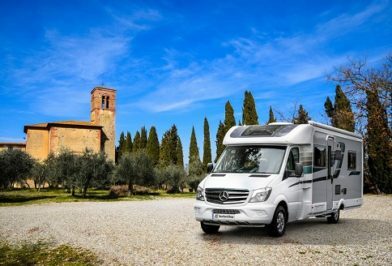 There are 1, or 2, good tips, to follow, as a guide to motorhome finance. However, anyone selling motorhome loans has to be on the FCA register. That stands for the (Financial Conduct Authority). Here in Derby we are registered, to advise customers, on all aspects of motorhome finance. 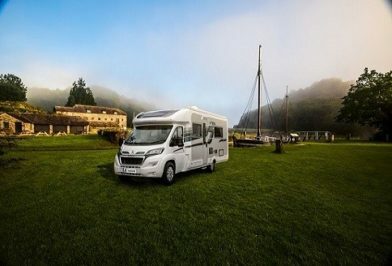 Including, campervan and van conversion loans. Also, our experience tells us, that there is no such thing as guaranteed motorhome finance. But, you may have has some motorhome finance bad credit ratings. That may not be your fault, for all sorts of reasons. Also, many people are looking for motorhome loans, who have experience of motorhome finance bad credit. In fact, we don’t think the best deals on motorhome loans are all about loan rates. In fact, we believe providing a quality service, especially, on used motorhomes finance is far more important. 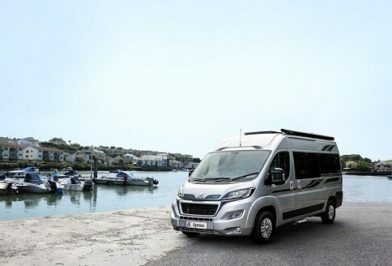 See our article a guide to motorhome finance. Customers are able to book an personal appointment with our finance sales team. Helping customers looking for motorhome finance. So, rest assured we will help you every step of the way. Our experienced sales people are very happy to help you. We are fully regulated on the FCA register. In fact, we want to help provide customers with good advice and will do all we can to get you a good deal. When you consider, that this may be the second largest cash transaction, after buying your house. Then it is worth talking over all of the financial options. Therefore, finding that dream motorhome is never easy, usually you find the one that is perfect for you. However, it is usually more than your budget will stretch to. So, consider asking our experts on motorhome finance and see if they can help you. Sometimes, a little friendly advice on funding a motorhome goes a long way. Also, knowing that your motorhome loans budget is under control, this no doubt will provide customers peace of mind. Also, here at Derby motorhomes, we can assure you that the motorhome you buy from us is in tip top condition. Buying one and taking out a loan it needs to be fit for purpose. Every motorhome we sell, be it on finance or not, is fully serviced and inspected. So, we know that our use of finance brokers, provides a knowlage and vast experience of motorhome finance. So, brokers and lenders that we use, are all FCA approved and provide a very friendly professional service. Also, we know that customers asking them direct questions, will receive sound financial advice. Especially, on the different motorhome loans available. Everyone of the brokers that we use are all full FCA finance brokers. Being large banking lenders, they have some finance tools available for customers to use. Many dealers like ourselves use the blackhorse motorhome finance calculator, to find the payment details and interest rates. Therefore, a customer using the Blackhorse credit indicator, will find a guide to what payments may be and loan terms and conditions. Buying a motorhome on finance, may be down to a credit rating. Black horse personal loans and conventional motorhome hire purchase are the main loans being provided. So, our sales team has access to the Blackhorse rate calculator and will help you to find the right information. Blackhorse are owned by Lloyds Bank PLC in the UK, they are a leading caravan, motorhome and campervan lenders. In fact, we have dealt with Black horse for a number of years and are an approved dealer. Ask our sales team to get you a Black Horse quotation. We know that they have an excellent customer service. Yes, here at Derby motorhomes, we are able to help you consider a Black Horse PCP or hire purchase purchase agreement. So, speak to us to help you or just send in your motorhome finance application. Being one of the oldest Banks in the UK, Raphaels Bank have been lending money, for a very long time. In fact, Raphaels Bank traces its roots back to 1787. Today we find the one of the oldest independent banks in the UK. Developing loans for motorhomes, via its motor finance division. Raphaels bank reviews each loan and provides a simple service via brokers. Today the Bank continue to operate as a dynamic, niche savings and lending bank. Also, with a portfolio of ATMs and a well-established payment services. division. Therefore, introducing customers to a range of lenders. So, once approved, they pick out the one who’s rates are most favourable. Mann Island (MIF) is authorised and regulated by the Financial Conduct Authority for credit-related regulated activities. Registered in England. Company registration no. 02750308. Other motorhome finance options are easy to discuss with Mann Island. Again, here we have another highly respected finance company and have been offering vehicle finance for over twenty five years. Close Brothers also do motorhome finance. They also are able to offer regulated consumer credit agreements on vehicles, subject to status. So, with terms ranging from twelve months and even up to ten years. Close Brothers is authorised and regulated by the Financial Conduct Authority. Close for credit-related regulated activities. Reference number: 124750. Also, we do not just use one provider, we actually use the services of the motorhome brokers. Checking the FCA register you will find them on the ACF Direct registration number number: 680716. ACF Direct in the UK they are qualified finance brokers. In fact, finance brokers with a difference, they actually trawl the market for the best rates. Therefore, we feel that way, customers are not just reliant on any one bank. There are many people selling motorhome loans online. The ACF service, is all about making leisure loans easier. In the UK help is available from a friendly motorhome concierge service. Also, they also provide a “fund it before you buy it” service as well. If you are uncertain of the different rates and finance options they will be happy to provide you with any information to help you. Finding a good motorhome interest rates is all part of the service. This is the regulator of financial services in the United Kingdom. So, use this information to decide if we are right for you. Motor Plus Derby Ltd, Derby motorhomes and Derby motorhomes have approval by the FCA to conduct credit broking, in connection with our usual business activities. In fact, we have approval of debt counselling on adjusting on a commercial basis and may be paid a commission, for introducing business, to lenders. So, rest assured that Motor Plus Derby Limited and associated companies. Will never, during the course of conducting any normal regulated activity, ask for any up-front fees, before commencing to arrange any regulated finance agreement. Also, we advertise our motorhome finance services on many different online publications. Details of Motor Plus Derby Limited and associated authorised businesses and FCA status. So, reference by contacting the FCA on 0845 6069966 or by visiting the FCA website. In fact, we will be very happy to help any customers old or new. Please complete the form and we will be in touch ASAP.